A very special child was born to eastern European immigrants Max and Sarah Tepper on Christmas Day, 1899, on the lower east side of Manhattan. New York’s melting pot is well known for the talents that emerged from those streets of pushcarts and immigrants. Hard work was the key to success there, and Saul Tepper was no exception. By 19, he was working full time in his own lettering studio while studying art at night and on weekends. He found William DeLeftwich Dodge’s composition classes at Cooper Union and George Bridgeman’s “ideas in drawing” at the Art Students League, were important influences. 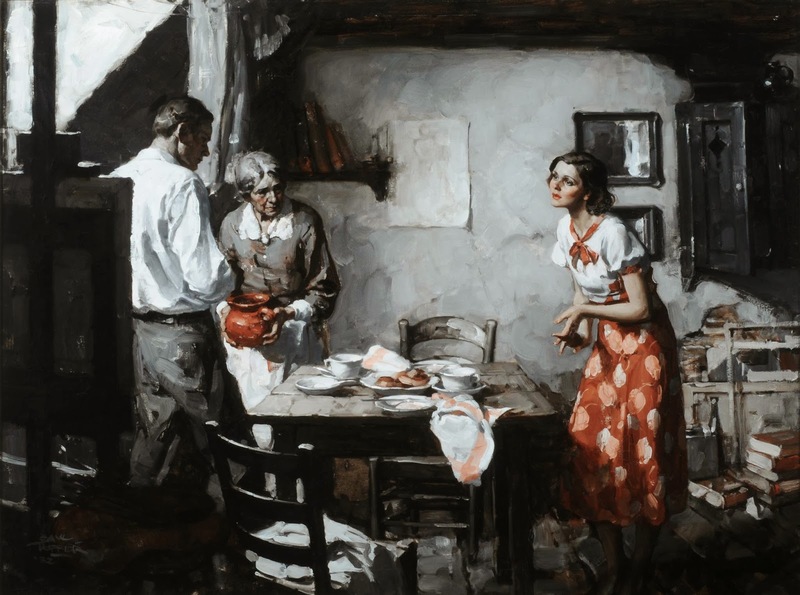 But his most important influence came later, under Harvey Dunn at the Grand Central Art School and at Dunn’s Tenafly, New Jersey, studio. After graduating from Cooper Union, Saul acquired a job in a studio as a lettering man. There, he had his first chance to do some figure work in oil. In 1920, he married Beatrice Lindenburg. They had two children, Albert and Joan. 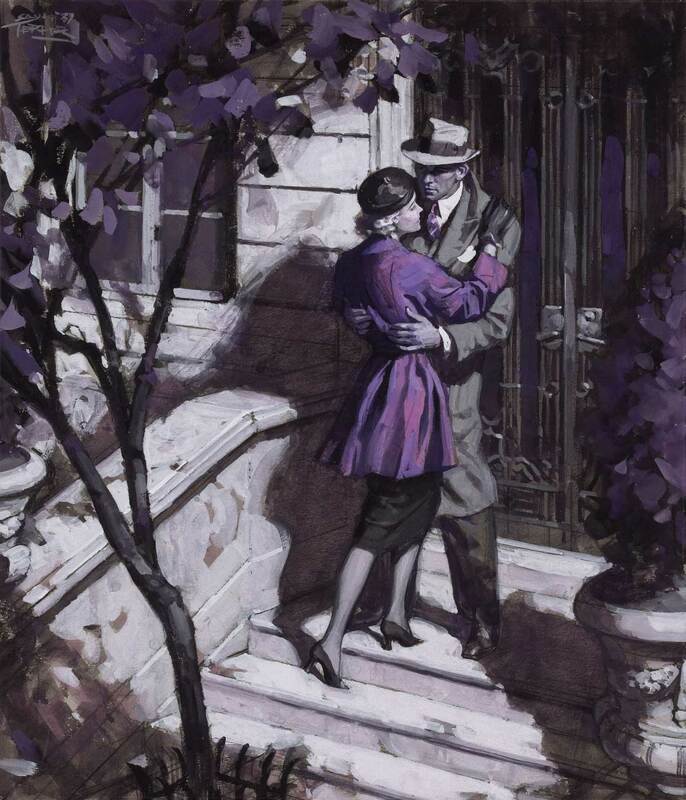 In 1925, at the Van Dyke Studios he branched out as an illustrator. 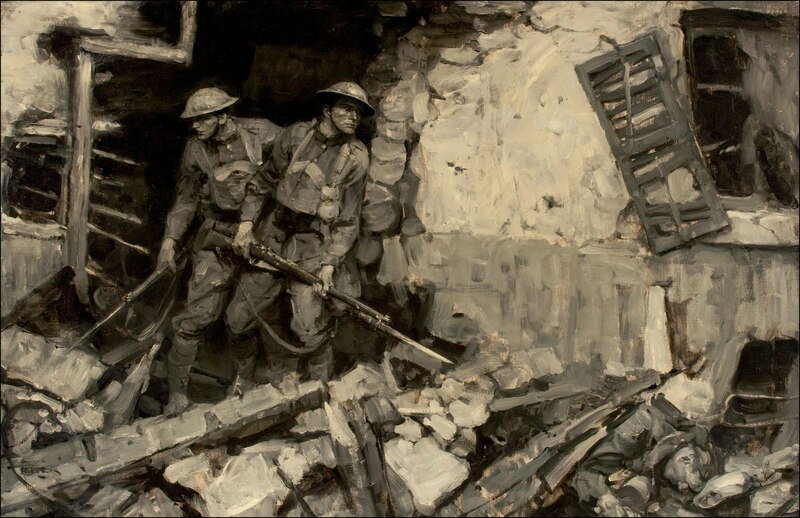 For the next few years, his work developed under the guidance of Harvey Dunn. Saul’s first sample from his new studio was purchased by Liberty magazine, who created a story around it. Collier’s followed shortly thereafter, as did the Curtis Publishing group (Ladies Home Journal, Saturday Evening Post and Country Gentleman) then came Woman’s Home Companion, The American, Cosmopolitan and Good Housekeeping. By the mid 1930’s, Saul’s style had become recognizable and commanded top dollar. His advertising campaigns for Chesterfield cigarettes and General Electric and his WW II posters, commissioned by the United States government and by Stetson Hats, are most notable. Saul moved his work to the Lincoln Square Studios and then, for thirteen of his most productive years, to the Hotel Des Artistes. A multifaceted talent, Saul branched out into other fields. Aside from his masterful use of the brush, Saul had a strong love of music which has led to many published songs and resulted in a membership in ASCAP in 1941. He created many of the songs for the popular “Illustrators Shows,” produced by the Society of Illustrators. The Illustrators Barbershop Quartet, with Saul as baritone, was a highlight of those productions. Over the years, Saul’s music has been recorded by Nat King Cole, Ella Fitzgerald, Glenn Miller, Harry James and many others. As a lecturer, Saul has spoken often to groups of students and professionals at Cooper Union, Pratt Institute, the Society of Illustrators and Art Directors Clubs. Because Saul knows the importance of the patient help one artist will lend another, he has given of his time to many. Al Dorne apprenticed to Saul at his first lettering studio and later Harry Beckoff and others. We will never know how many would have put down the pen for a shovel without Saul’s help. He tells about one young man, Arthur DeKuh, an ex-boxer and bathhouse bouncer, who, through hard work and Saul’s critiques, established a career in art. 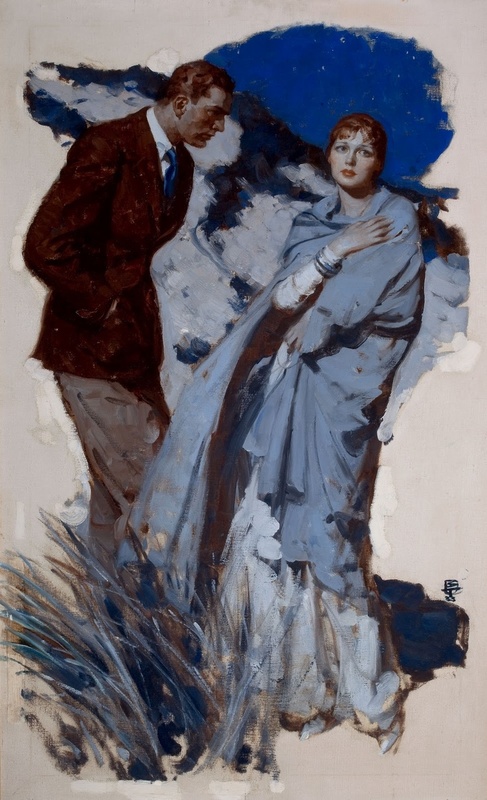 Saul, having grown up during the Golden Age of American Illustration, was influenced by it. 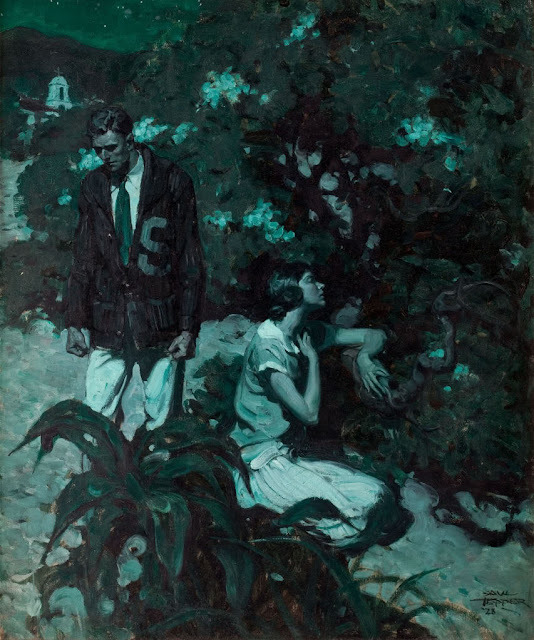 The period between World War I and II was Saul’s “Golden Age,” an era of romance and adventure in which he, Cornwell and Rockwell played an important part. Reproduced in the major magazines for four decades, Saul’s work became a source of inspiration for many artists of that period. In the 1950’s, still an active artist for the new adventure magazines (True, Argosy and Real), Saul reached a point of dissatisfaction. He became TV art director for J. Walter Thompson and BBD&O, creating images for TV commercials. He also continued with his music, composing the Red Cross theme song for 1960-1961. Now Saul is on another venture-restoring his paintings and inventing tools for the process. No one will ever think of Saul as retired. 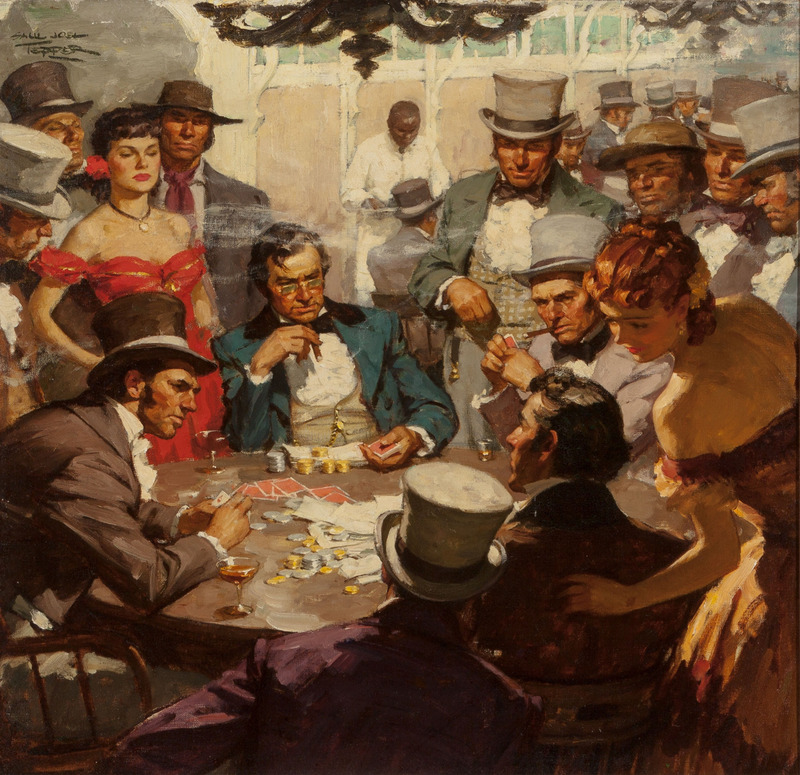 The world of illustration is indeed fortunate that Saul Tepper embraced this artform with his sensitivity, intelligence and energy.